The Palms pool is not the biggest in Las Vegas but at times it feels like the most popular. Get there on the weekend and you'll be surprised by just how many pretty people they can pack into the water. When is Pool Season in Las Vegas? Is it Hot in Las Vegas? A day bed in the center of the action at Palms Las Vegas pool. You'll only slip into the water to cool off and then jump back out to sip your drink. If you are looking for information on this Las Vegas hotel be sure to check the hotel information page or if you want some specifics here are a few resources that should help you find the information you need. Cabana anyone? Spend time with a few friends and get a better view of the pool from the shade of your cabana at the pool. A drink in one hand and a spot in the shallow end of the pool. What else could you ask for? 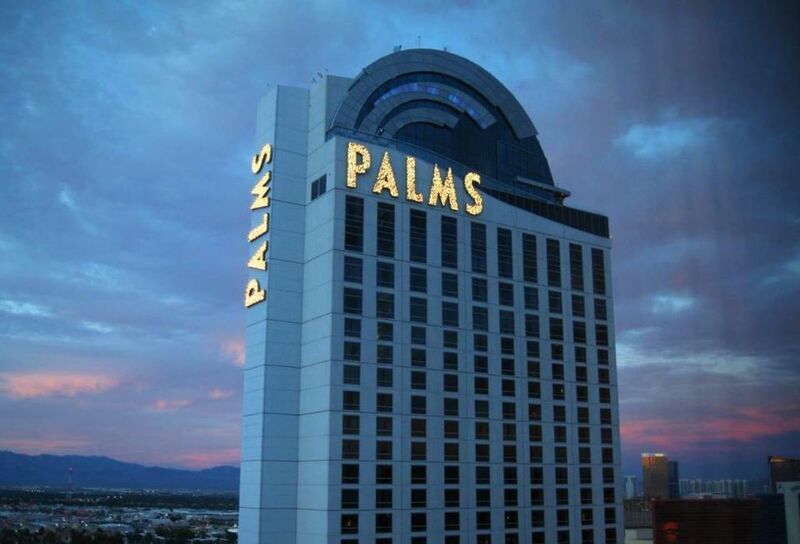 There are plenty of private spaces at the pool at Palms Las Vegas. Reserve a large private cabana or a daybed or just become anonymous in the center of the pool. The space works if you are looking for a good, fun pool party atmosphere. If you want straight relaxing by the pool it might be a bit tough on a weekend.